10+ Fax Cover Sheet Templates- Free Sample, Example, Format Download! 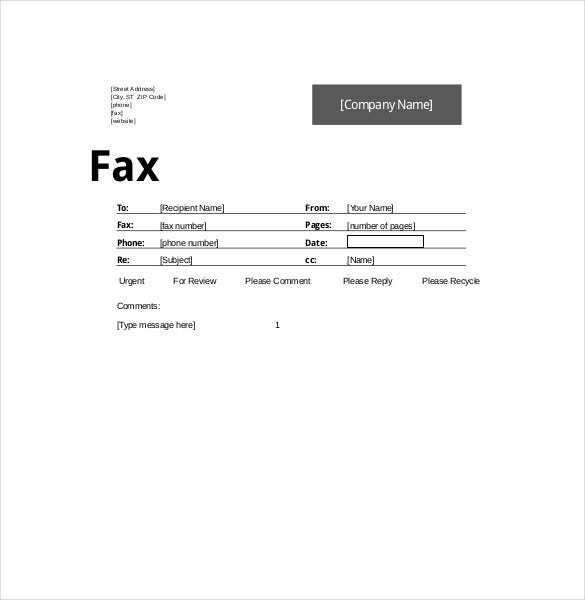 Have you ever written a fax messages and later asked the recipient whether they received the fax and they said NO? Although this might not happen, things could get glitch and the information you intended to send might get into the wrong hands. To make sure information never gets lost, include a fax cover sheet. The sample cover sheet often has three types of information. You can also see Blank Cover Sheet Template. The first piece of information included on the fax Cover Sheet Templates is the details of the sender. The second piece of information is the details of the recipient. Lastly, a brief about the fax message is often included at the very bottom. 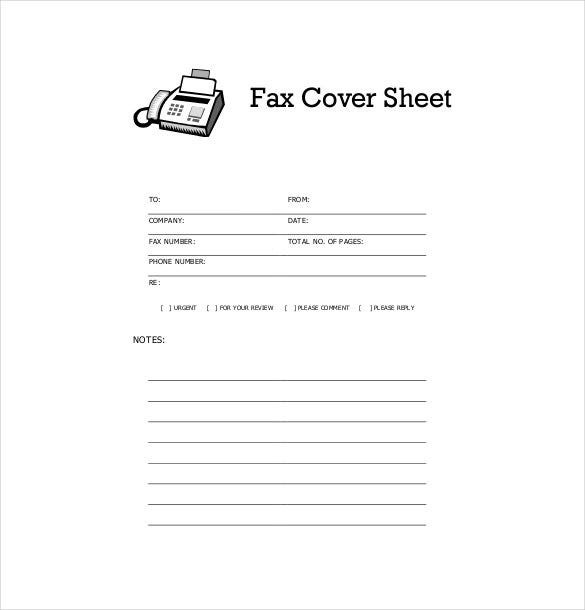 formville.com | This sample fax cover sheet is very basic in design and also easy to use. 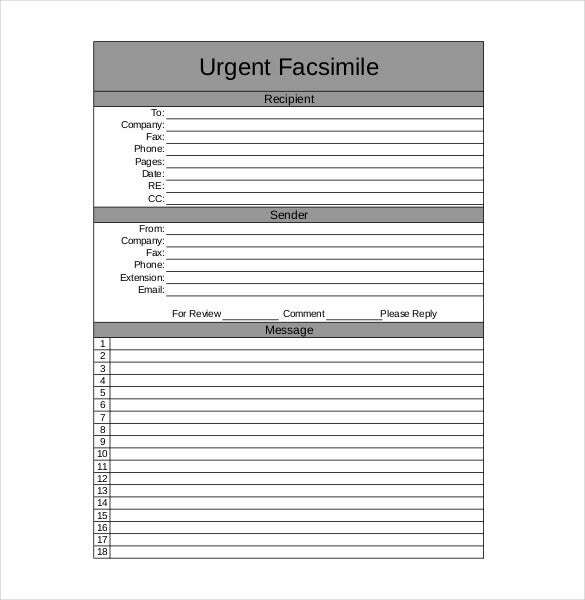 This sheet is formatted for urgent facsimile which includes sections recipient, sender and message details. 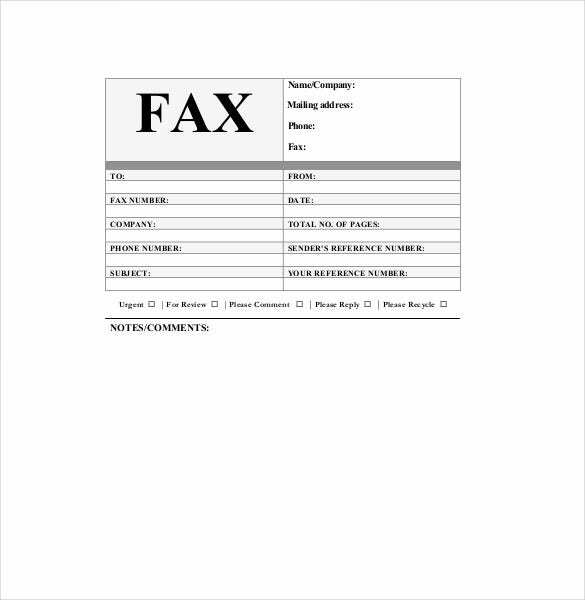 faxtemplates.net | Fax cover sheet is a nice way to check the connection settings of your fax. This has fields like fax phone number, subject and work reference. This also has a column for comments. 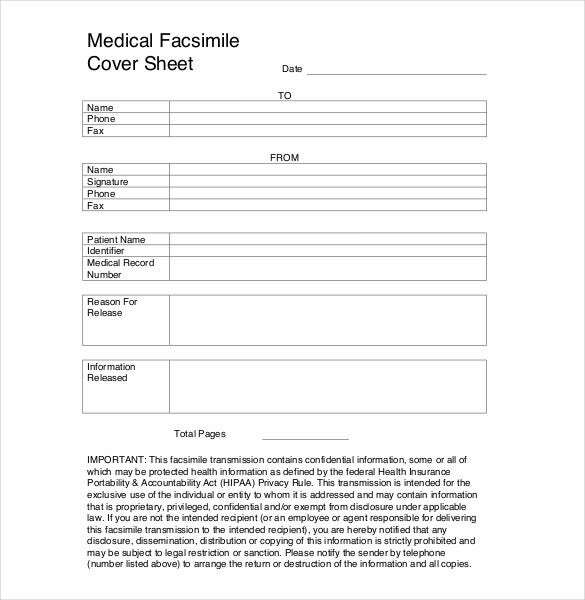 freefaxcoversheets.net | This free downloadable medical facsimile cover sheet is very useful in the medical professional world. There are fields like reason for release and information released. The medical fax cover sheet is easy to download. The free downloadable fax cover sheet is available in various formats that make it easy to download and use. 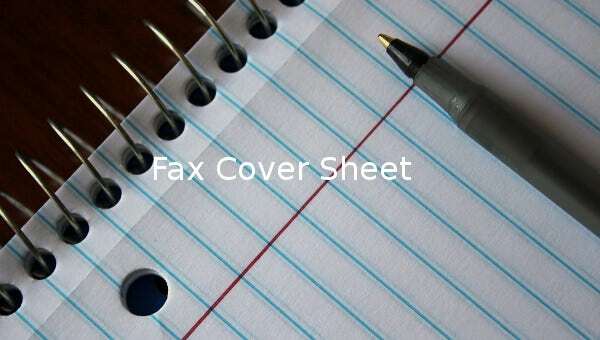 Its neat design gives you the simplicity you require in a fax cover sheet. myfax.com | This sheet has basic fields like to, from, subject, date and message. This becomes easy for the sender and receiver to understand the fax cover sheet which can be downloaded. This fax cover sheet has the message section which is outlined and similarly the heading of FAX has been highlighted in bold. 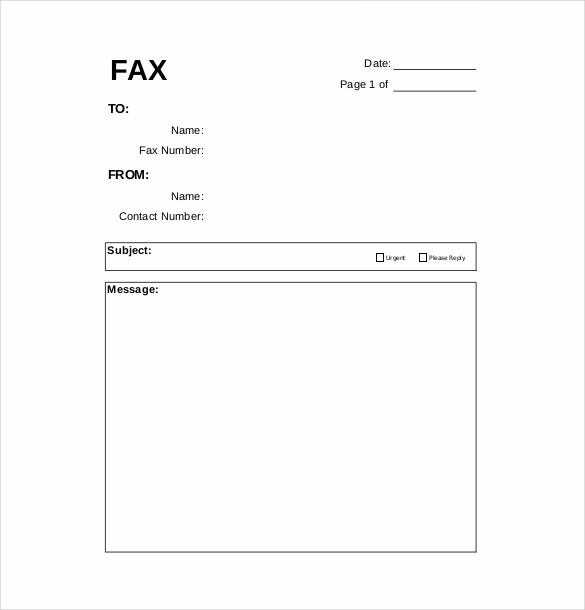 This fax cover is trouble free to download. myfax.com | This hassle free simple fax cover sheet is easy to download. The cover sheet also includes a small fax animation to make it look really nice. The fields that are used are total number of pages, fax number and company. 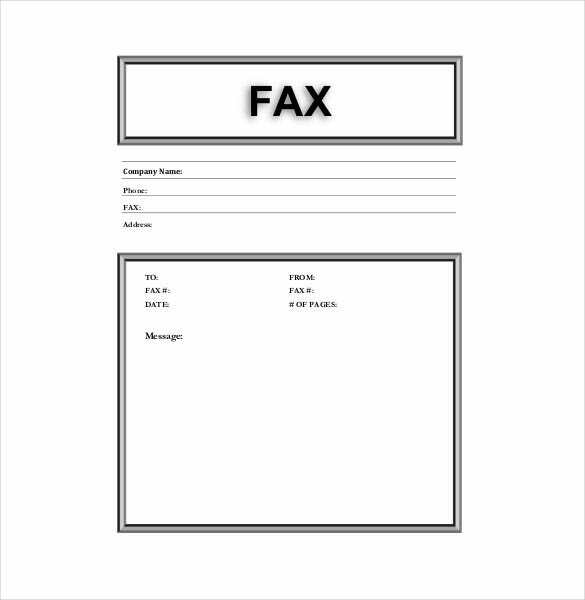 myfax.com | This fax cover sheet is useful for various kinds of business, as fax is the most commonly used mode of communication in business. The easily downloadable fax cover sheet becomes a boon for every businessman. 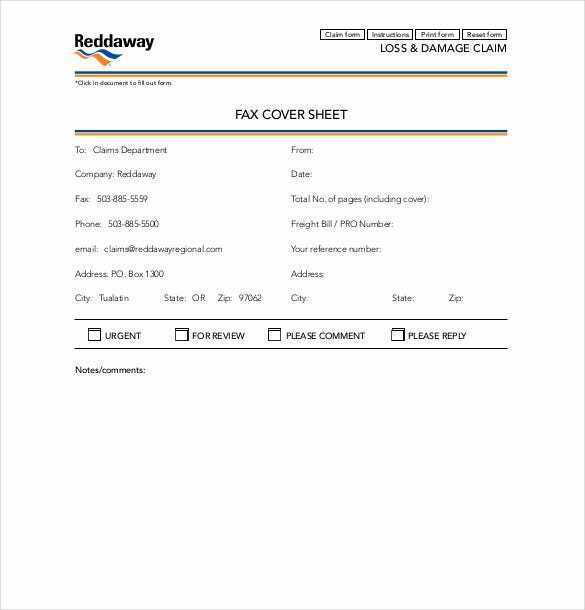 reddawayregional.com | This is a sample of fax cover of reddaway which can be used by you to test the fax conditions. It is available in different formats for you to use.